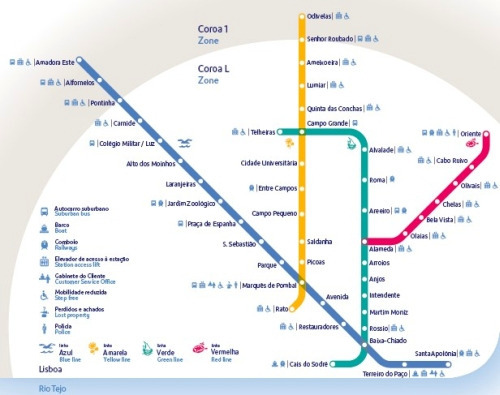 This is the Lisbon Subway Map, also known as the Metro Map. Here you have two versions of the subway map. You can save and/or print one or another. Both if you like. 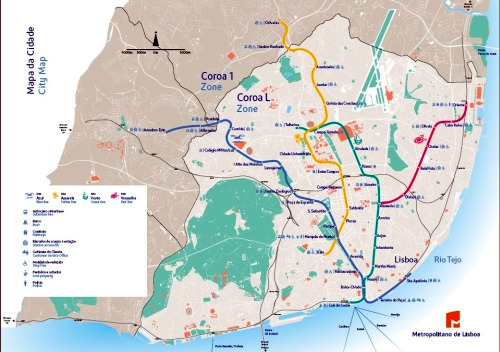 As I told you the Lisbon Subway is probably the quickest way to travel through the city but don't forget that you travel underground. This means you don't get to see much of the city while you're traveling. But you do arrive quickly if that's you're purpose.